Are you looking for ways to improve outcomes and satisfaction by caring for the whole person? To not only provide patients with excellent medical care, but also take care of their mind, body, and spirit? 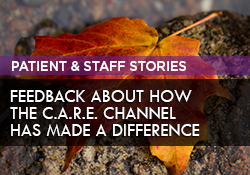 Explore what whole person care really means and find out how C.A.R.E. Programming can be an effective component of your whole person care initiatives. Please enjoy this recorded webinar presented by Susan E. Mazer, Ph.D., President and CEO of Healing HealthCare Systems. 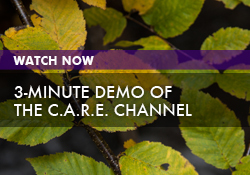 Watch more videos about The C.A.R.E. Channel.